One of the easiest things I tell people to cook in their Instant Pot is rice. It is quick and oh so easy. One of the things I have always had a hard time with is rice. This really was a game changer for me. When my sweet Momma gave me my Instant Pot, I was excited to try rice but not hopeful that I could cook it in there. Well, let me tell you, I hollered! I mean HOLLERED! It was PERFECT!!! So now, the IP is the ONLY way I cook it. It is so simple, let me show you. 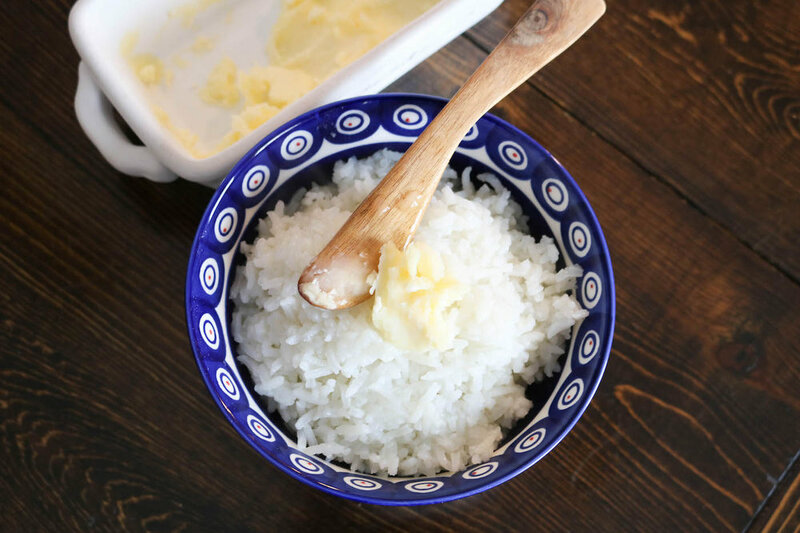 Add rice, water, salt and butter into the inner pot of the Instant Pot. Close lid, seal vent and set to manual or pressure cook for 8 minutes. When done, turn off or cancel and allow pressure to naturally release for 8 to 10 minutes. Carefully release vent to relieve any remaining pressure. Carefully open lid and fluff with a fork. Serve and Enjoy! Well there it is folks. The thing that sold me on my Instant Pot. The old saying about things that seem too good to be true does NOT apply here. Try it and I hope you love it. This recipe and my recipe for Deviled Eggs, should be the first things anyone should make in their new IP! 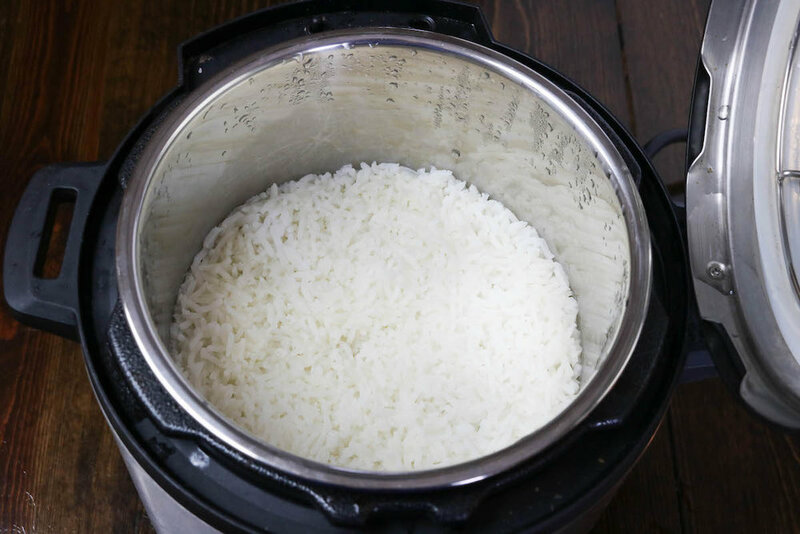 It just doesn't get any easier or tastier than this Easy Instant Pot rice. So good and made so easy, there just isn't any side better!